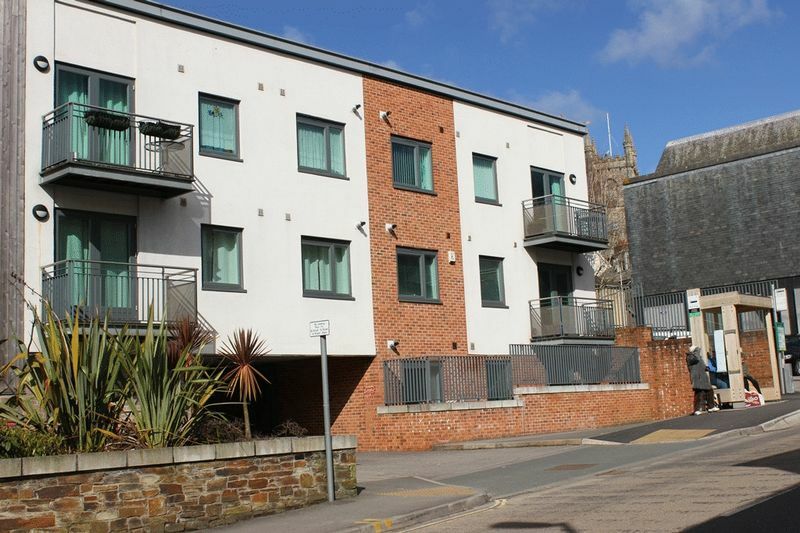 This is a well placed attractive apartment within the town, with the great benefit of being located on the ground floor, with level easy access from its immediately adjoining parking space, allowing excellent potential for the disabled. The accommodation is practical and well proportioned with two double size bedrooms, the main having an en-suite shower room. Large open plan fitted kitchen through lounge/dining room with patio doors to front. Further main shower room, recently converted from the former bathroom suite. Wide entrance door and reception hall with surprisingly large walk in storage cupboard housing the gas fired boiler. 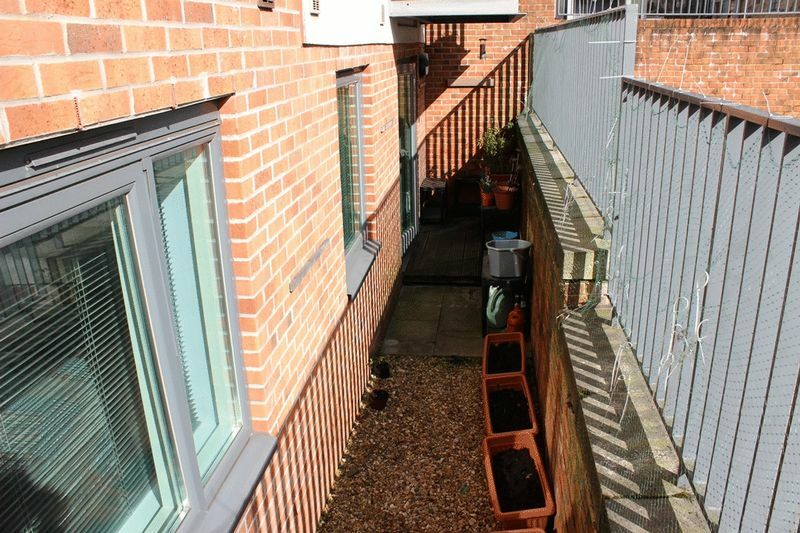 Private gated approach to inner courtyard and access to the flats. 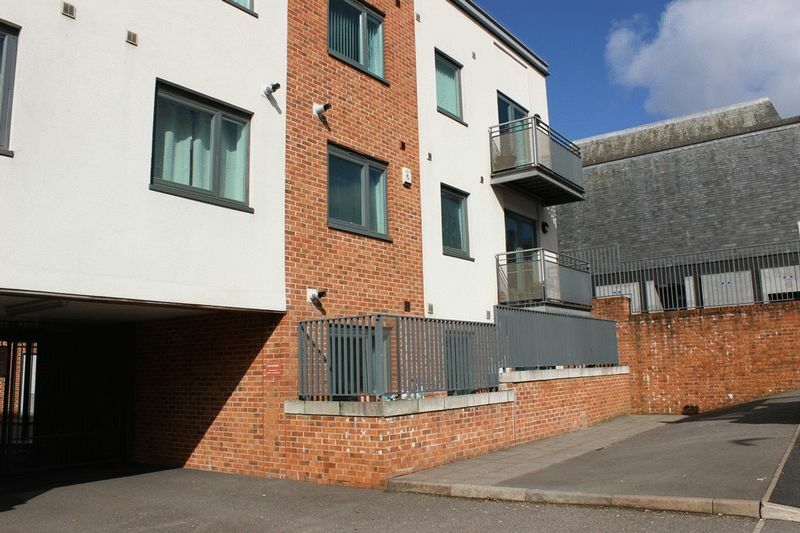 Communal facilities include an attractive roof top patio garden, bike storage room and bin/recycling store. The flat will likely appeal to the retired/professional couple as a main residence or 'lock up and leave' base, alternatively those seeking an investment for letting. Appointments to appraise in detail are most strongly advised. 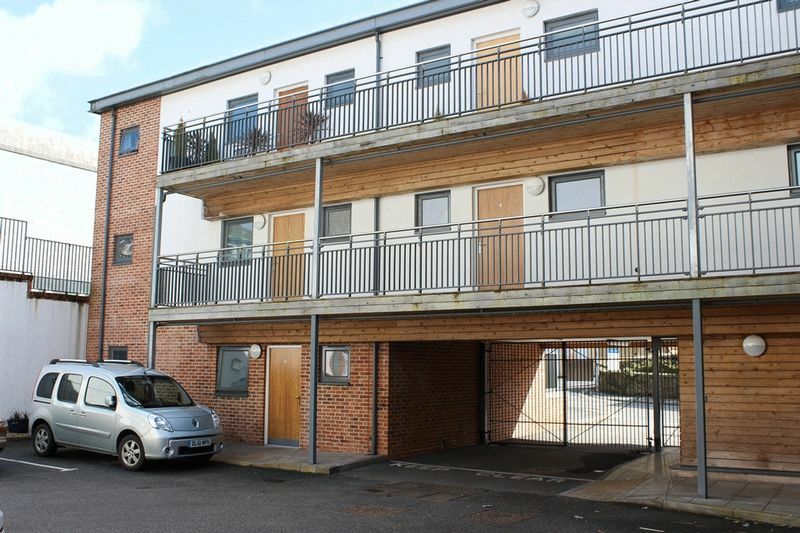 Immediate adjoining its allocated parking space with front pathway patio approach with wide entrance door to hallway. Generous reception area. 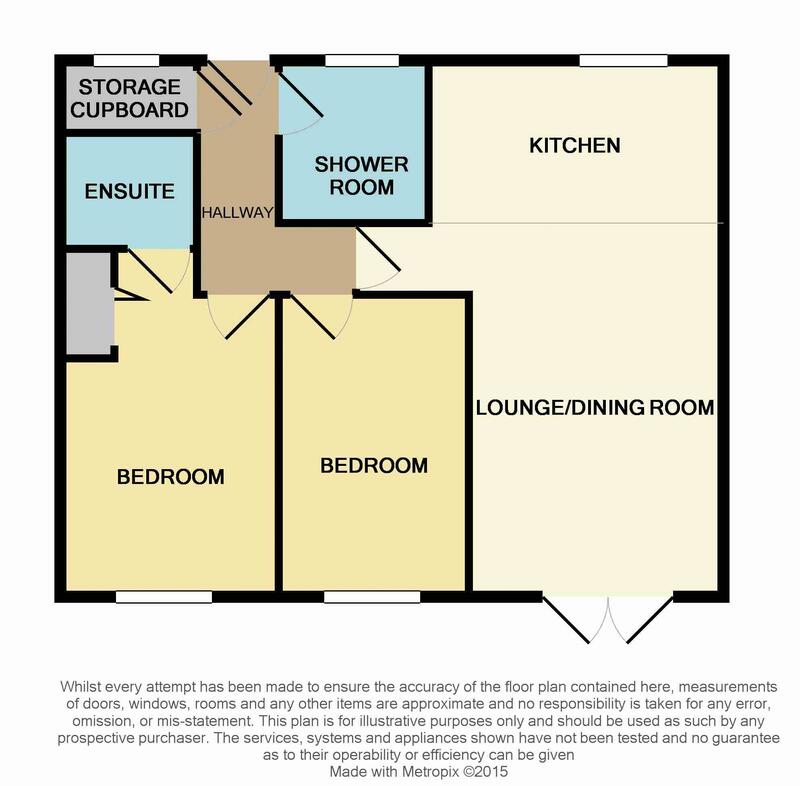 Door to large walk in storage cupboard, door to shower room, hallway continuing L-shaped with doors off to both bedrooms and door to kitchen through living room. Radiator. Smoke/fire alarm. narrowing to 10'3". Attractive open plan room providing kitchen and living areas, kitchen fitted with a comprehensive range of gloss cream finished base and wall units providing cupboard and drawer storage, working surface over with concealed work top lighting, part tiled walls adjacent, incorporating inset sink unit. Electric oven, 4 burner gas hob with hood over. Integrated automatic washing machine. Inset ceiling lighting. Radiator. Window to rear. 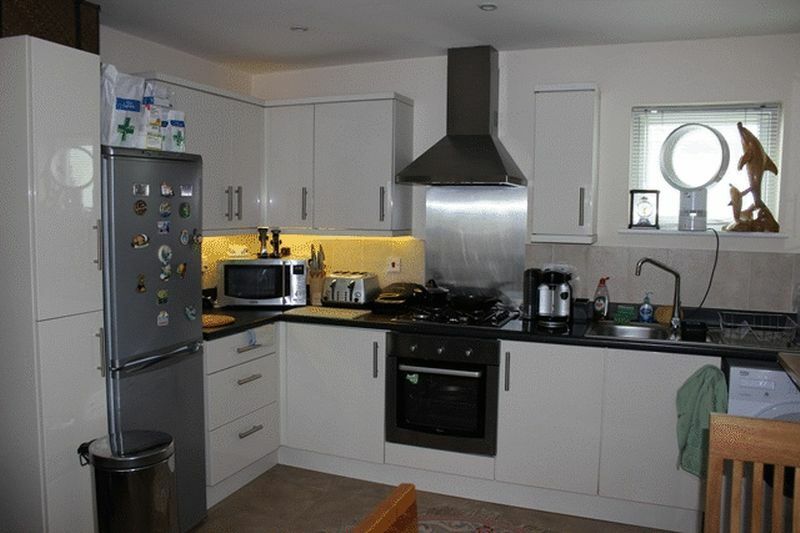 Generous living/dining area with radiator. TV aerial socket, telephone socket. Patio doors opening to front enclosed garden terrace. plus recess. Built in wardrobe cupboards. Window to front. Radiator. Door to en-suite. TV aerial socket. Glazed and tiled shower cubicle with electric shower unit, pedestal wash basin, close coupled W.C. Radiator. Inset ceiling lighting. Extractor fan. Refitted former bathroom. Large glazed and panelled shower cubicle, pedestal wash basin, close coupled W.C. Part wall tiling. Radiator. Inset ceiling lighting, extractor fan. Patterned glazed window to rear. 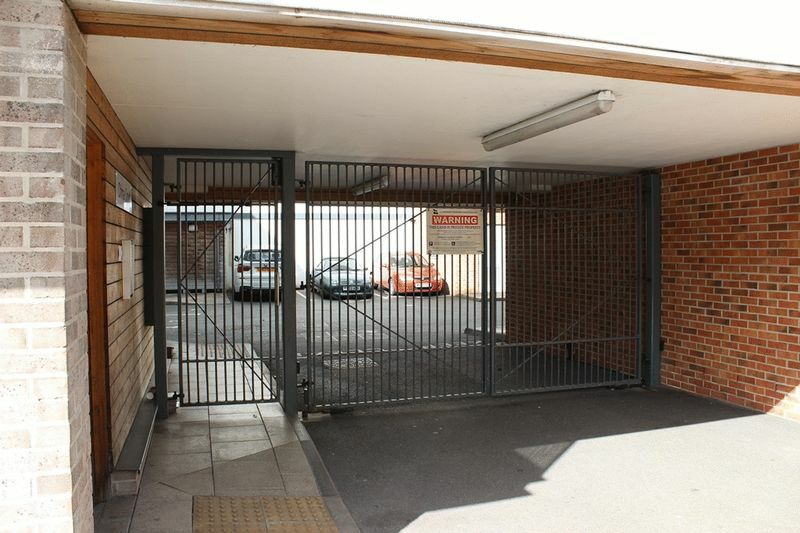 Secure gated approach to flat entrance and parking courtyard. 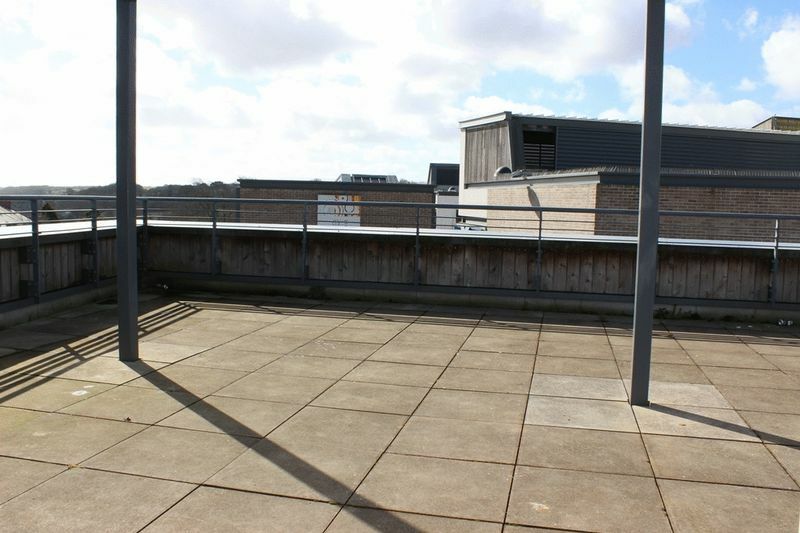 Communal facilities include a roof top patio garden. Bike storage shed and bin/recycling shed. The enclosed front garden for the apartment provides timber decking patio and shingle beds with walling and railing balustrade surround. We understand the property is held on a 999 year lease from approximately 2010. 2019 current maintenance charge is £357.46 per quarter, this includes buildings insurance. Ground rent is £250 per annum.